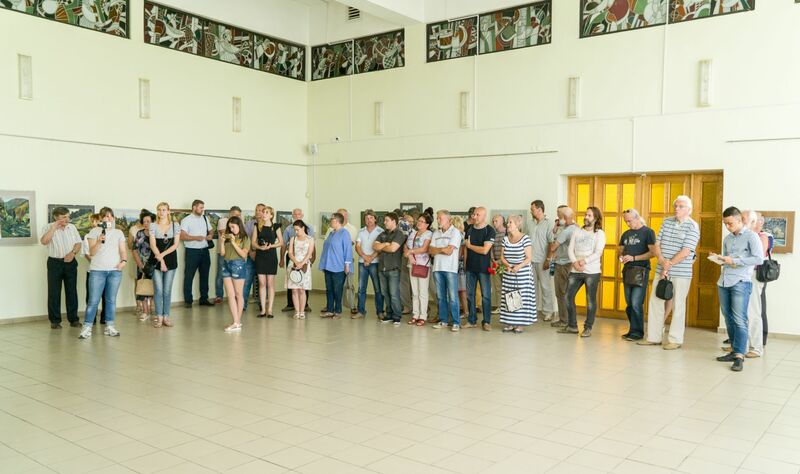 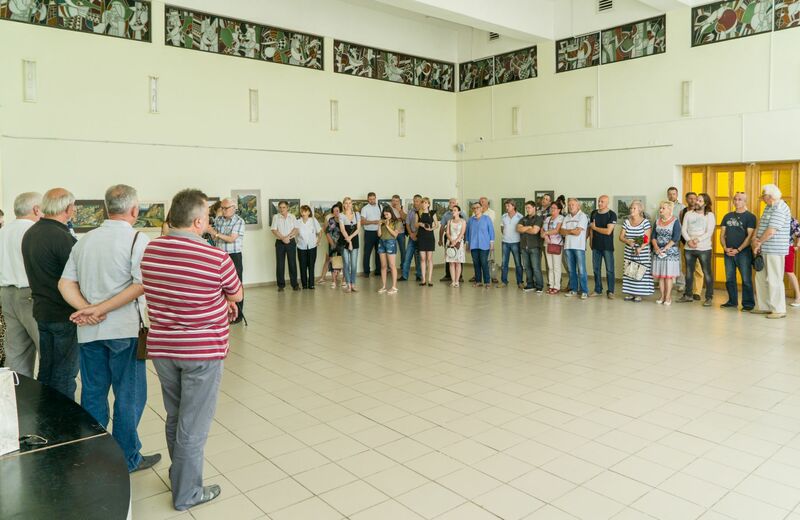 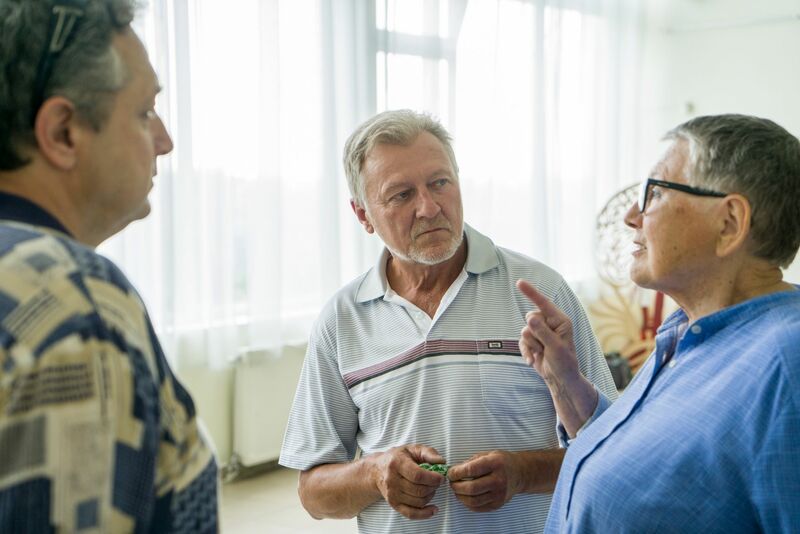 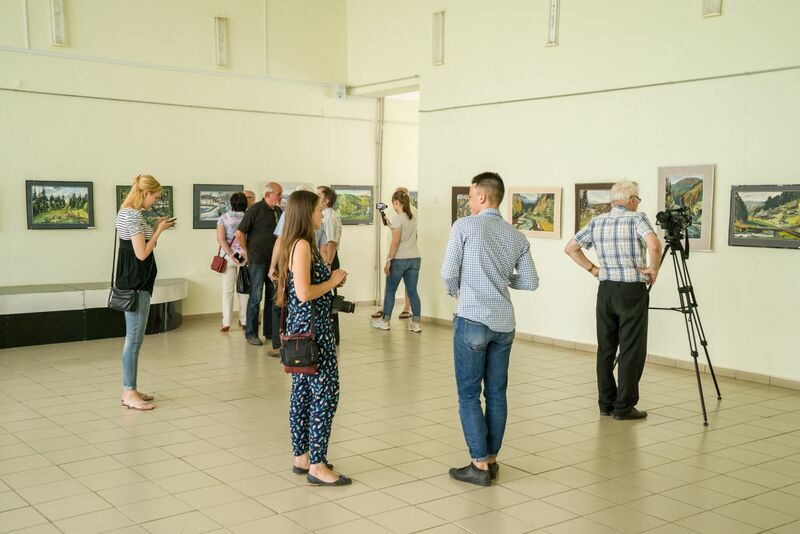 On July 5, 2017 a well-known architect, designer and landscape painter Vladyslav Hanzel presented the exposition of new, not exhibited works in the exhibition hall of the Transcarpathian Museum of Folk Architecture and Life (Uzhhorod). 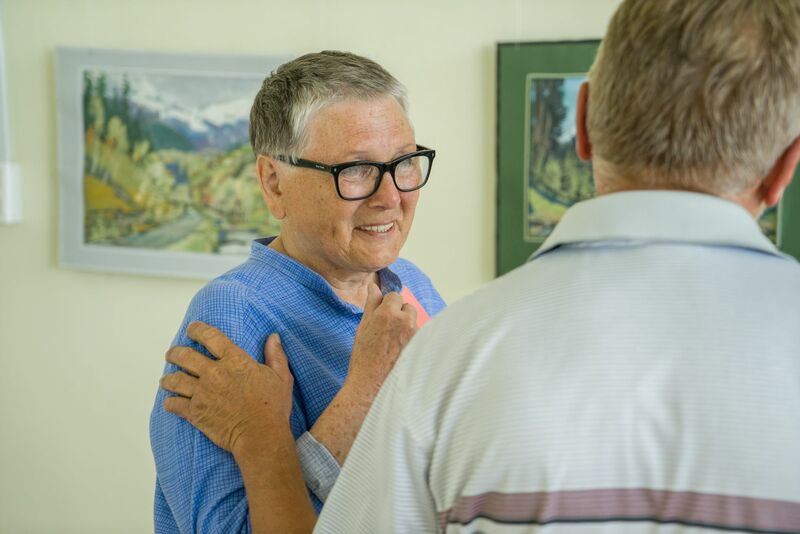 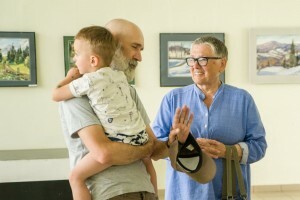 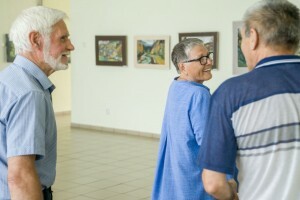 The exhibition titled “Calling Friends” has more than five dozen works and is timed to the 70th anniversary of the artist's birth. 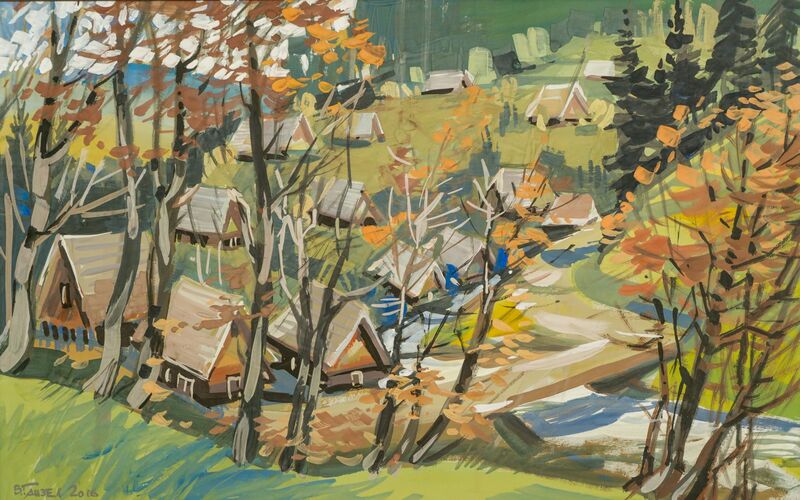 Original, distinctive artist Vladyslav Hanzel strikes with his special approach to image creation: his work is unique, light and clean, his colours are bright and colourful, his outlook on life is full of optimism and love for everything around him. 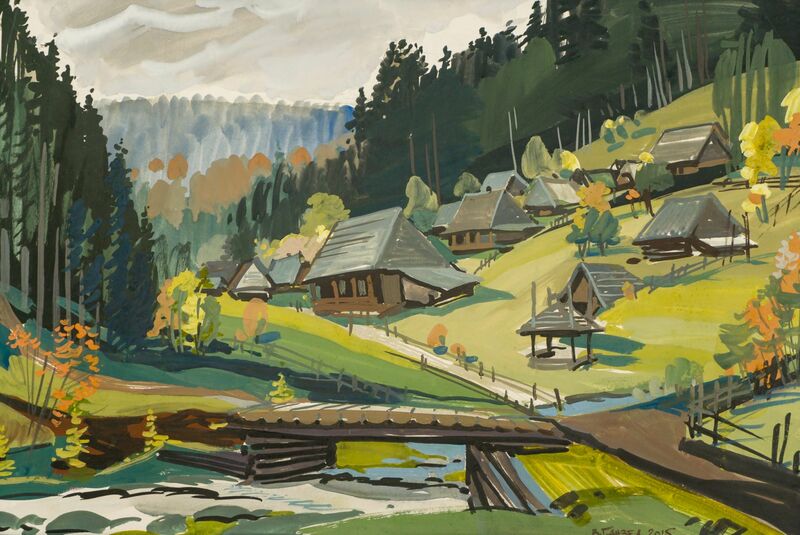 The first and unequivocal impression of the exhibition-such landscapes could create a man who is infinitely in love with his native land. 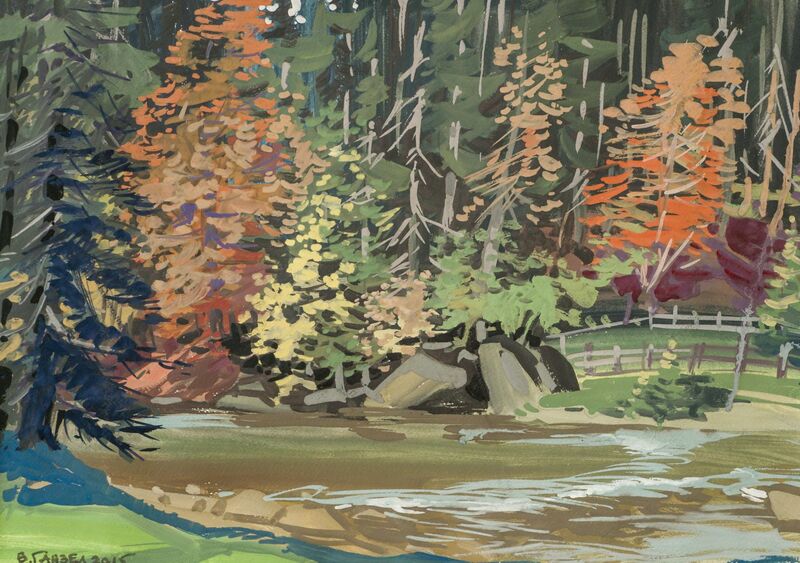 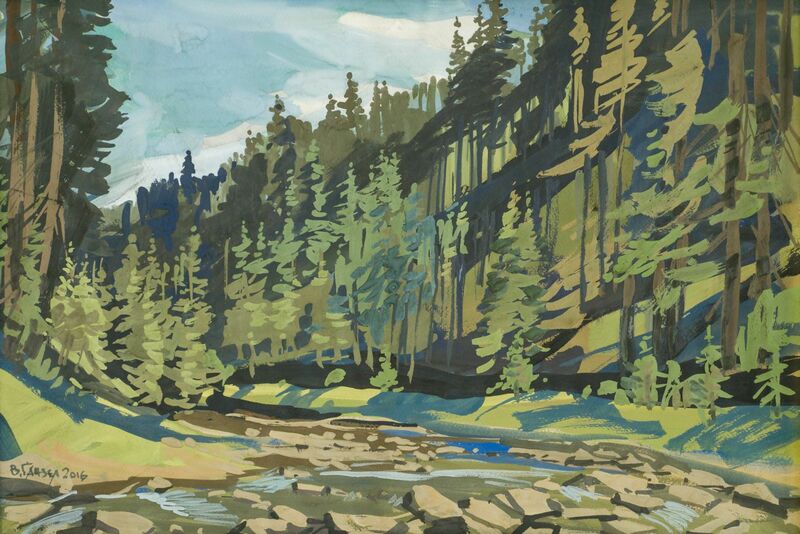 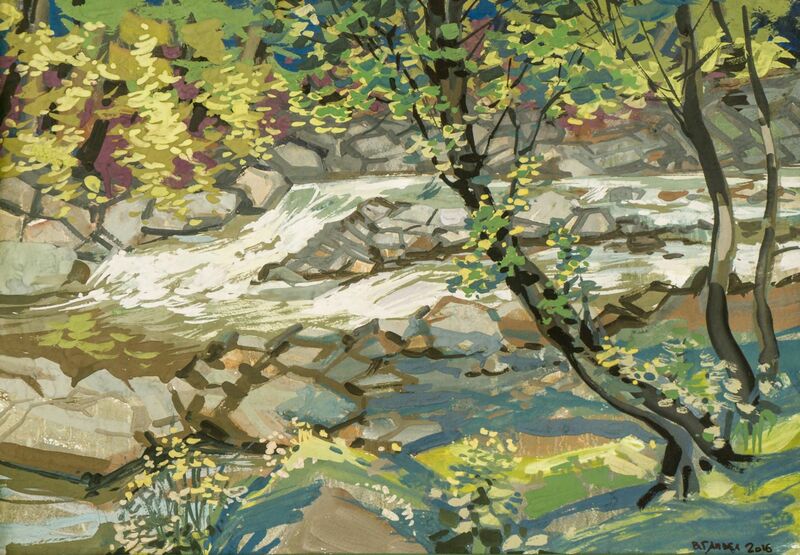 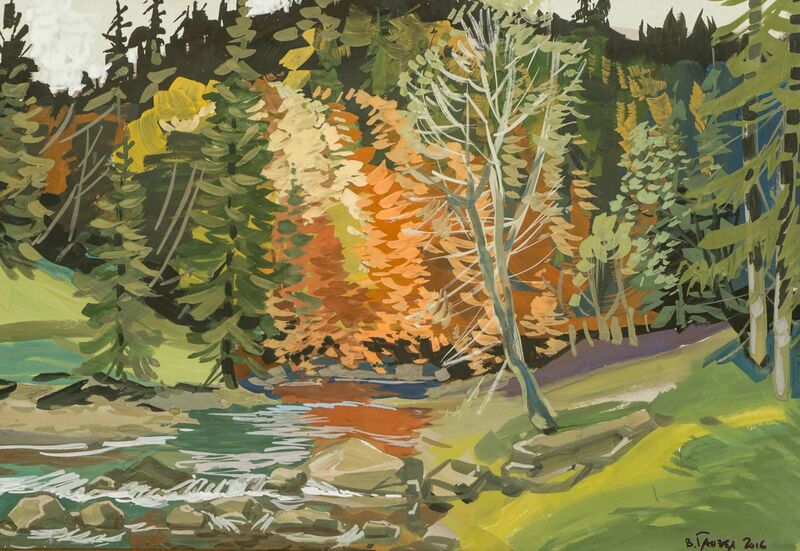 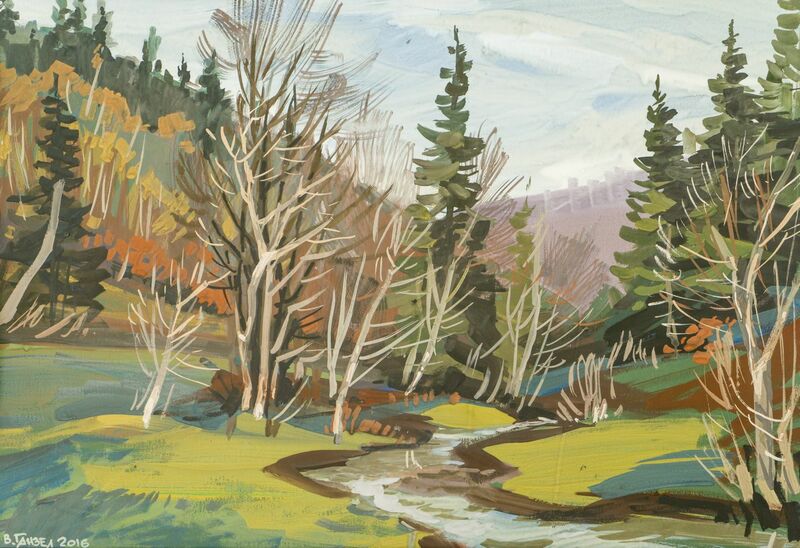 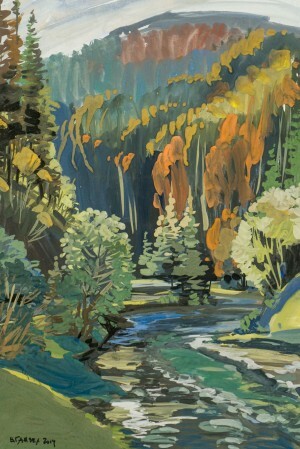 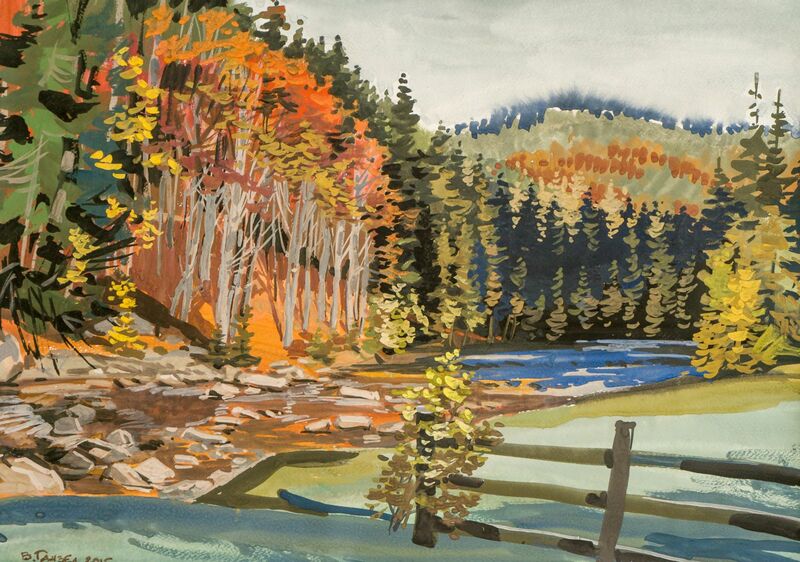 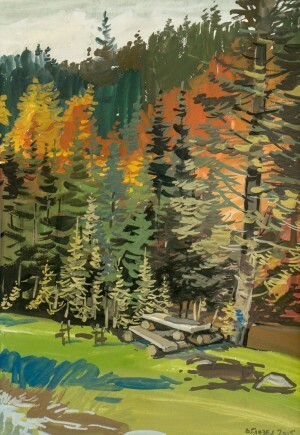 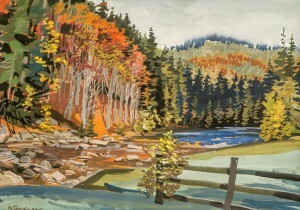 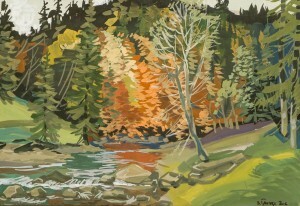 The author does not hide this: “You know, during the plein air there were so many impressions that I did not have time to make them out! 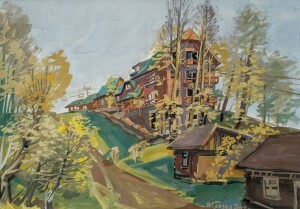 I'm gasping for breath, looking around, it seems that I would like to re-paint everything...” And, the artist paints, it seems like, his brushed do not stop for a minute, his hand reproduces everything seen around him: here are the picturesque landscapes of the resort of Svaliava region, next to the beautiful views of Mezhhiria and Volovets regions, even in other works there is a bit cold, but no less beautiful Bereznianshchyna. 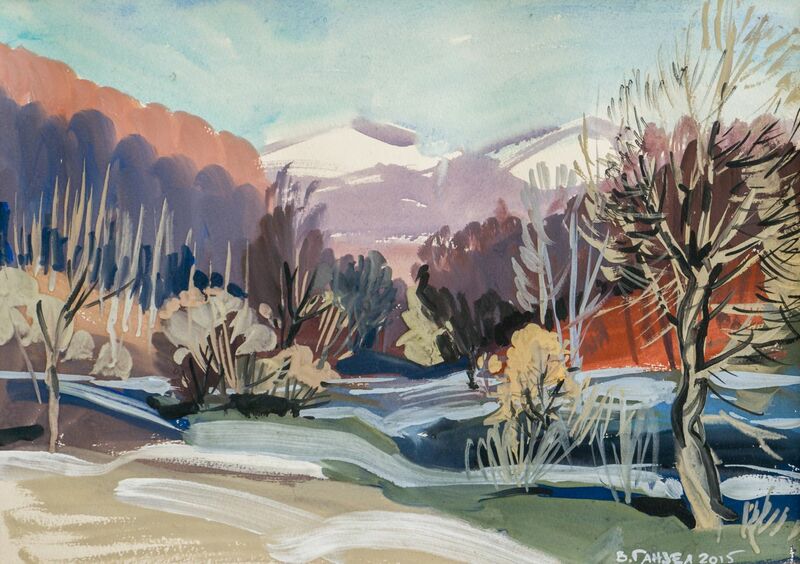 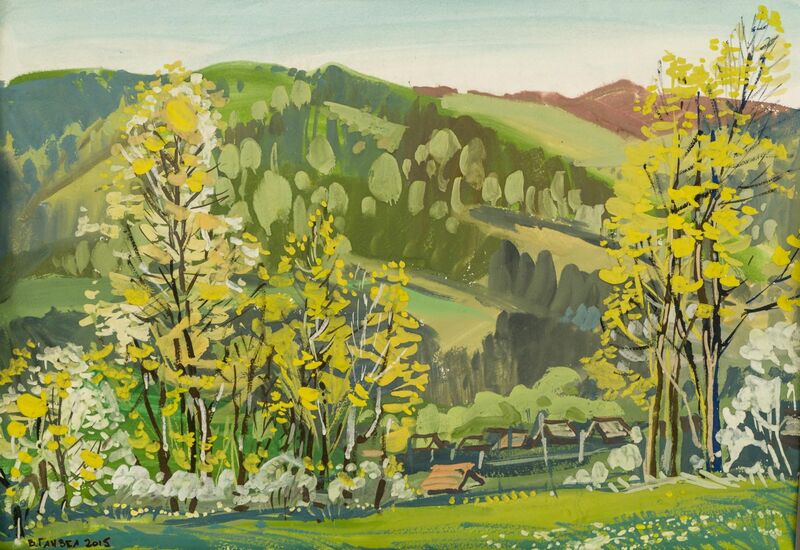 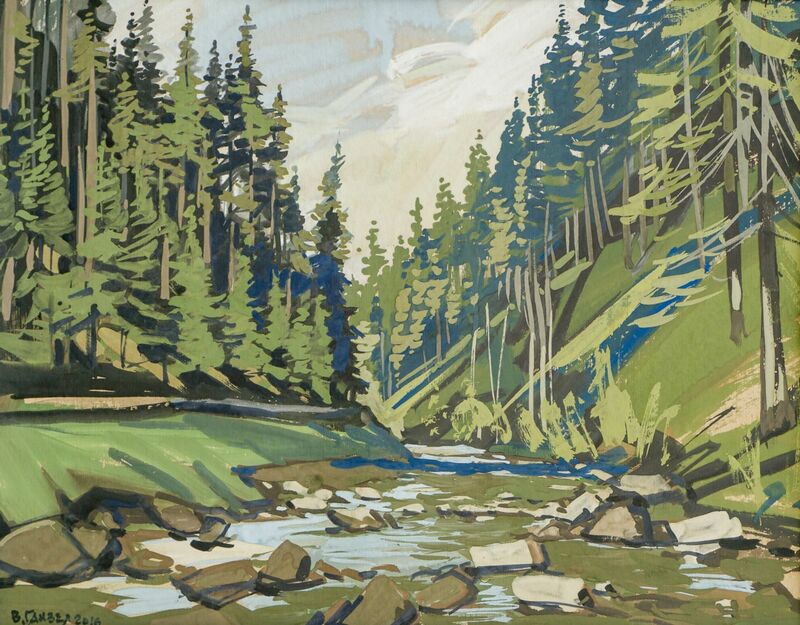 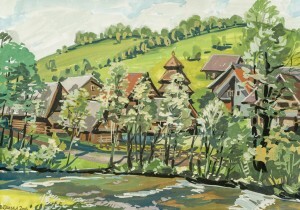 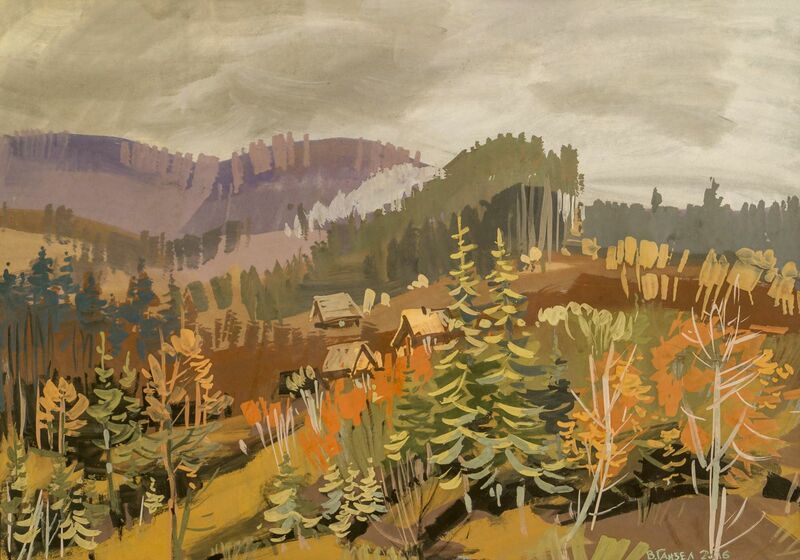 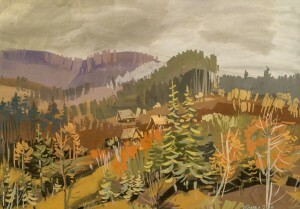 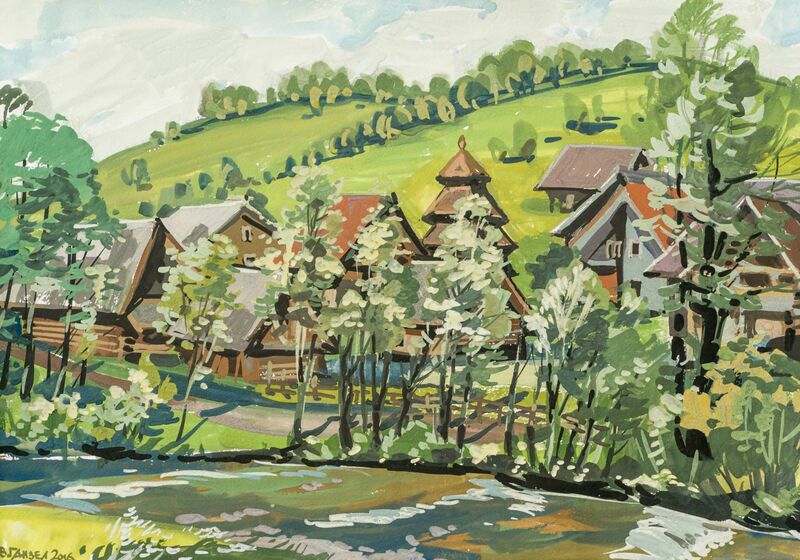 It seems that all of Transcarpathia as if with one magic movement of a brush and a splash of colours was transferred to cardboard and paper with the help of watercolours, tempera, gouache. 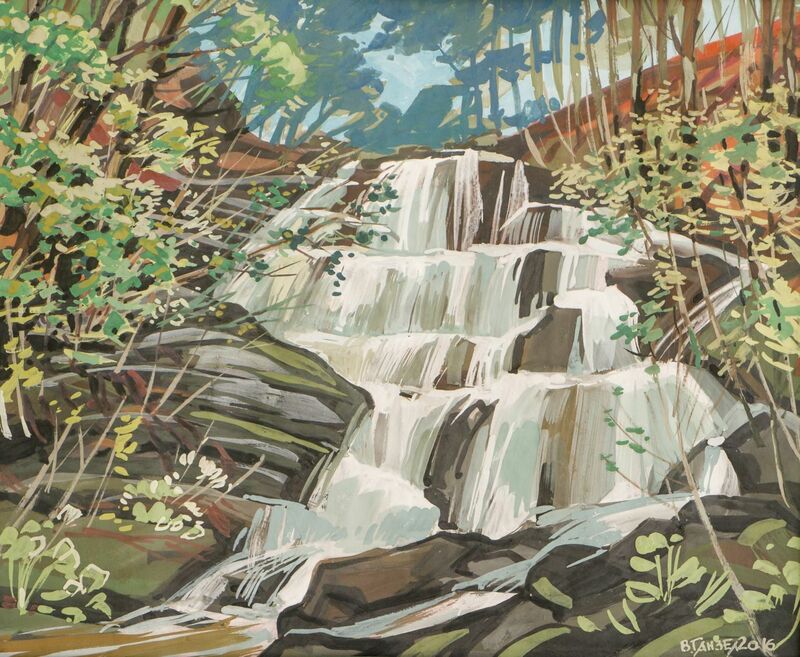 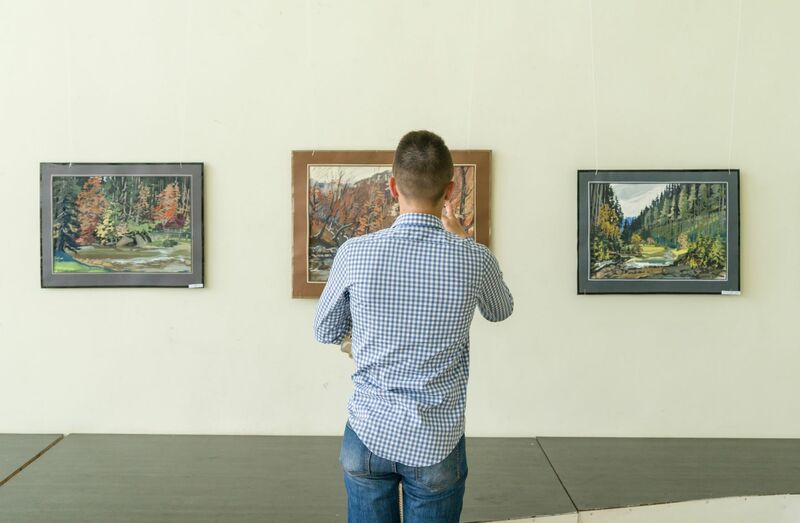 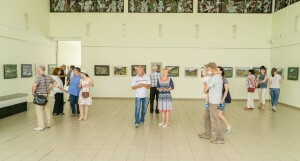 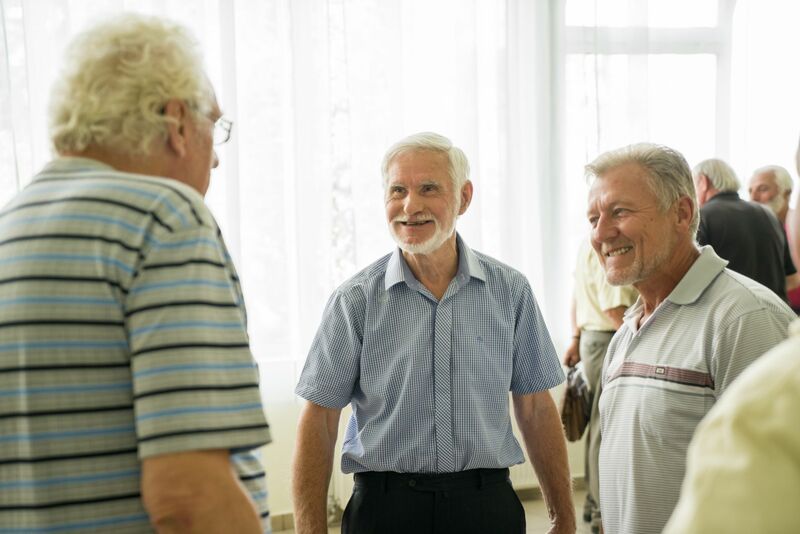 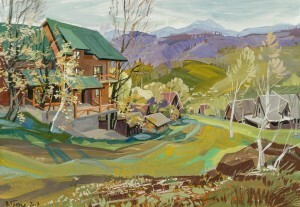 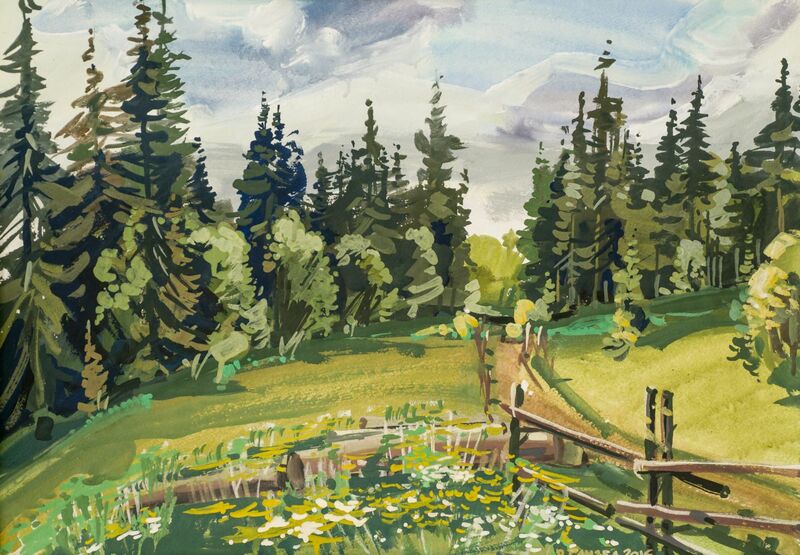 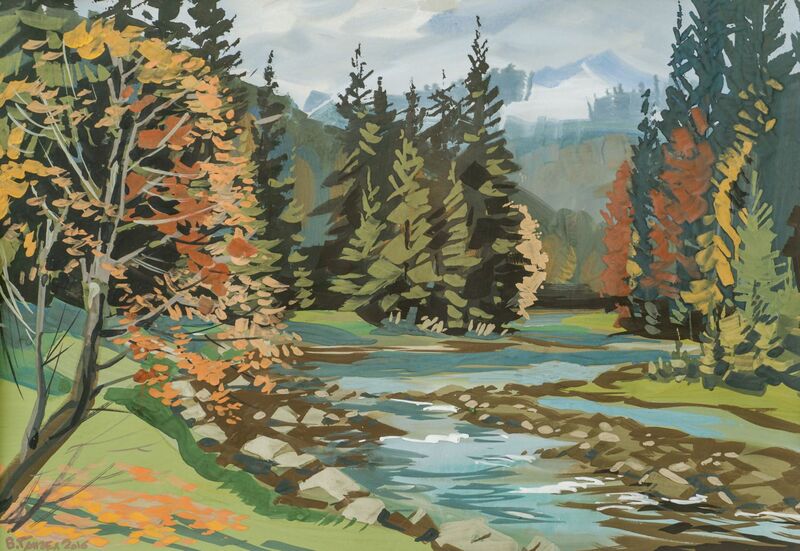 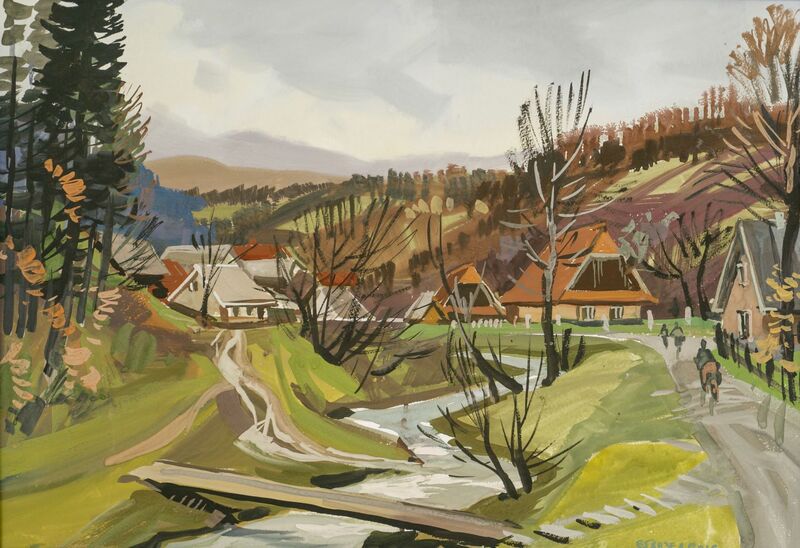 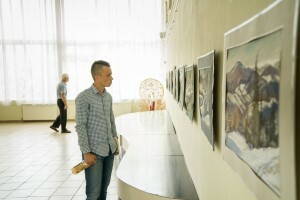 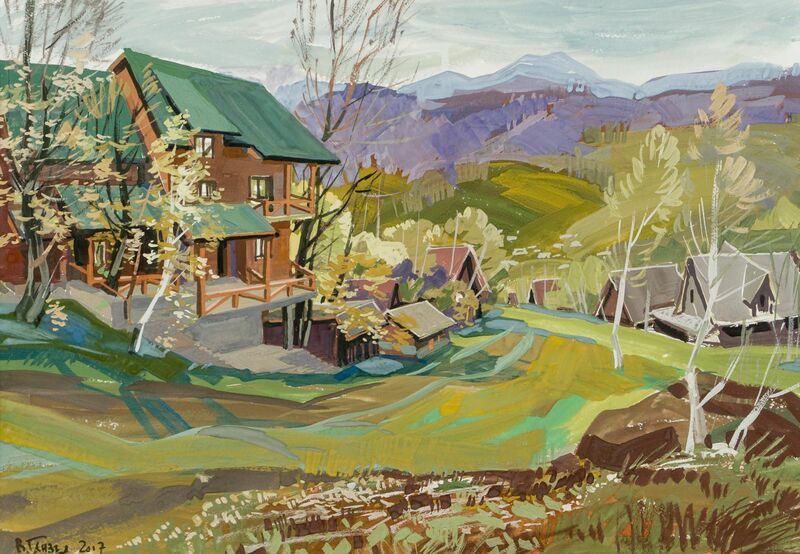 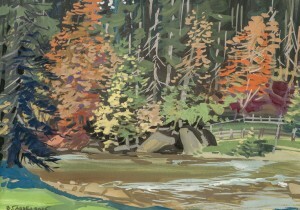 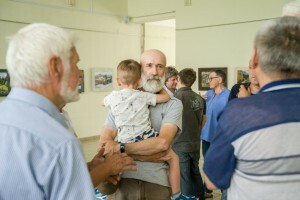 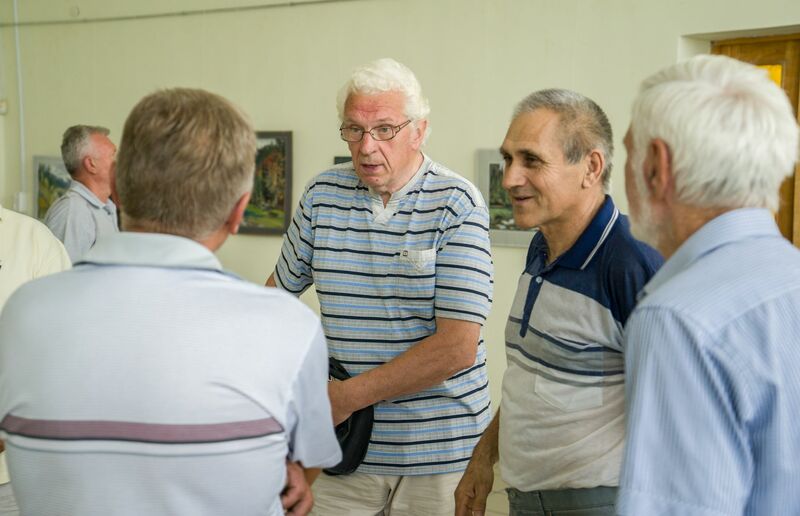 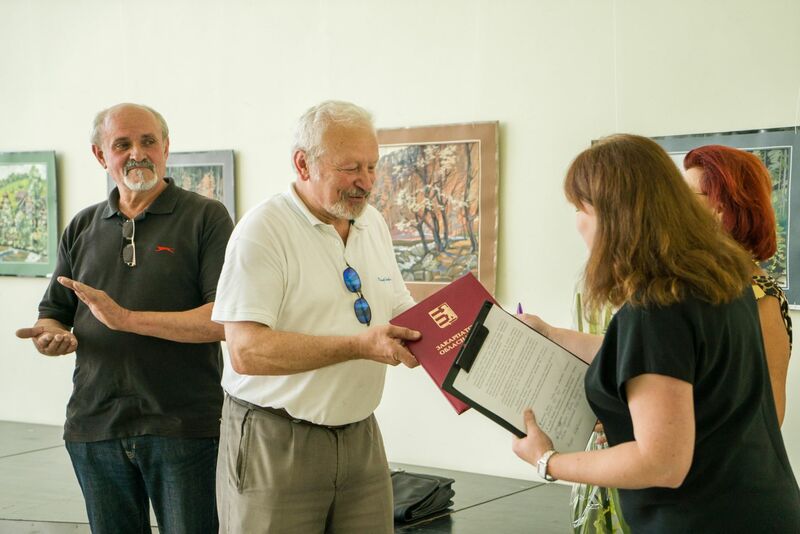 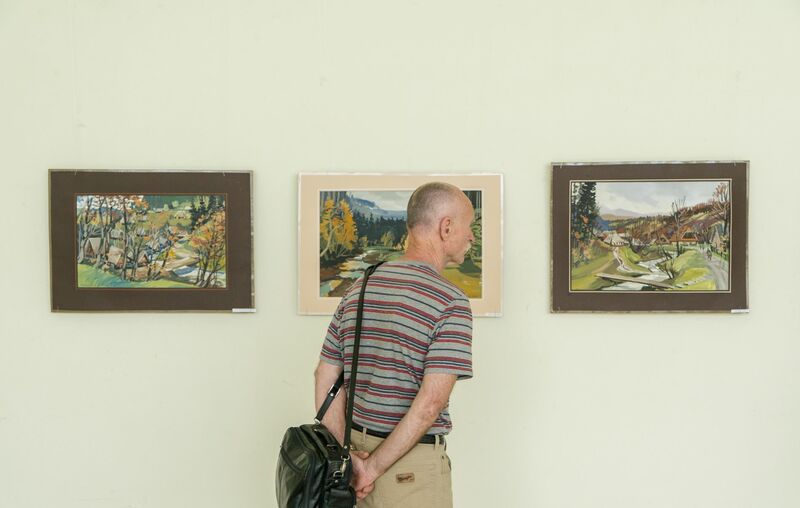 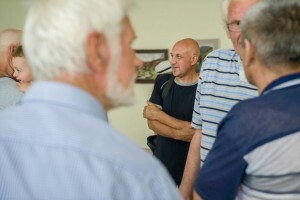 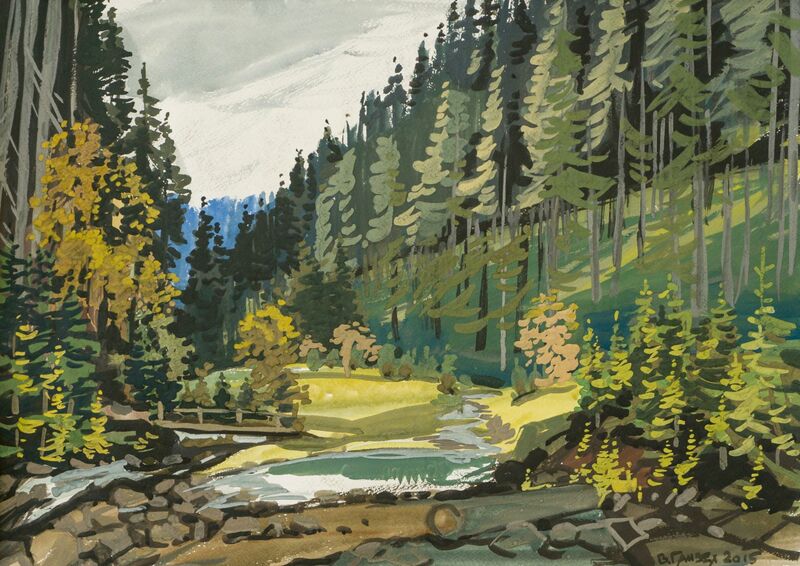 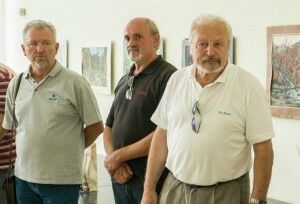 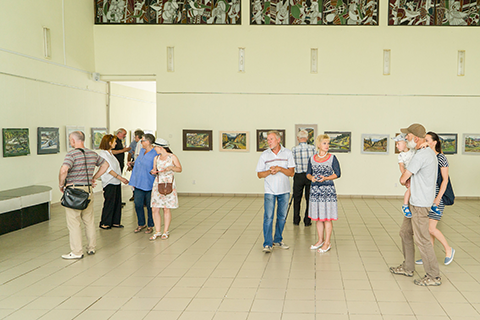 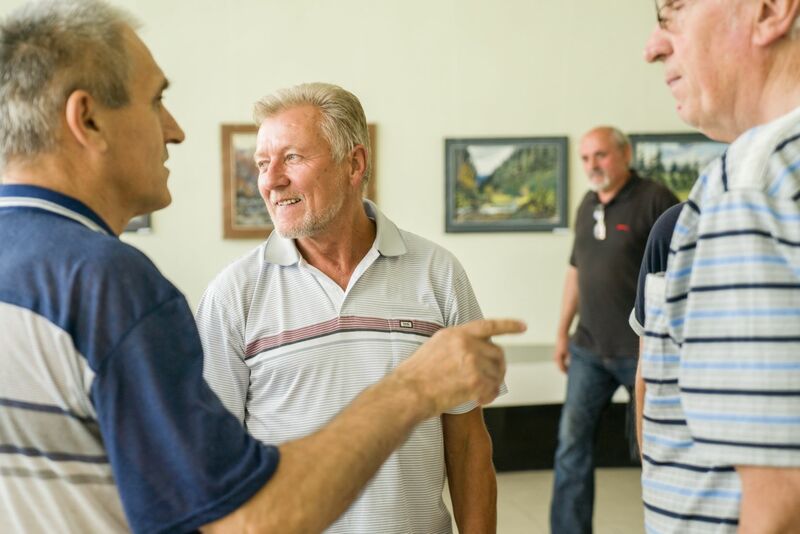 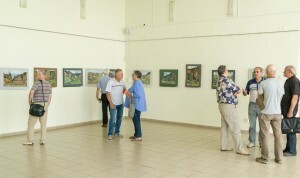 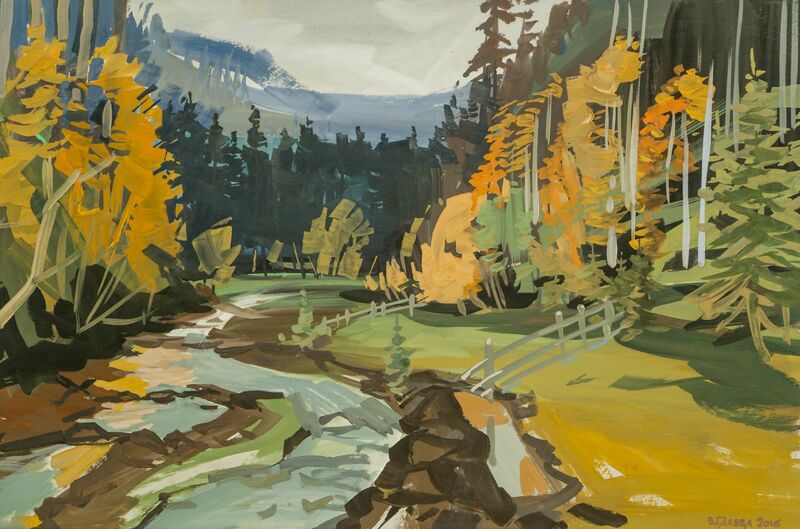 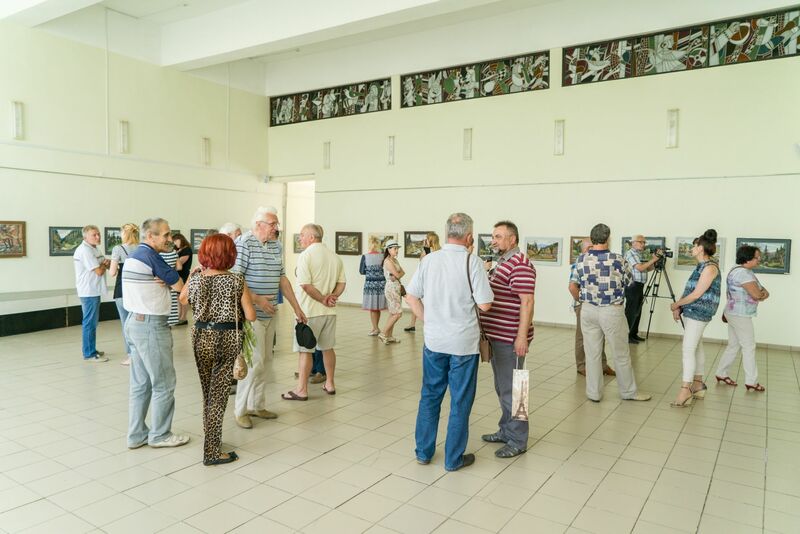 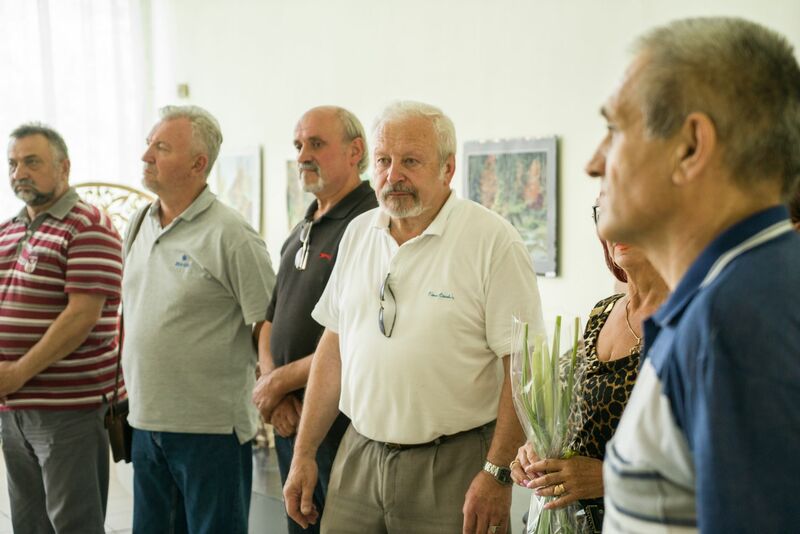 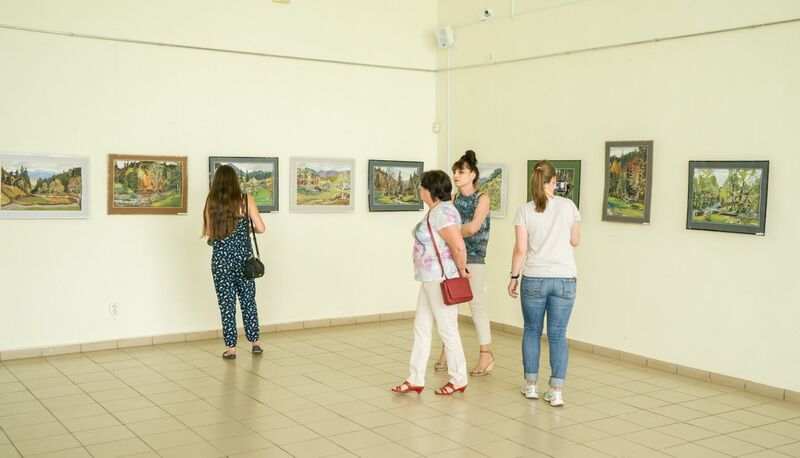 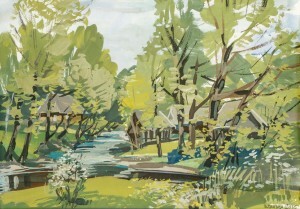 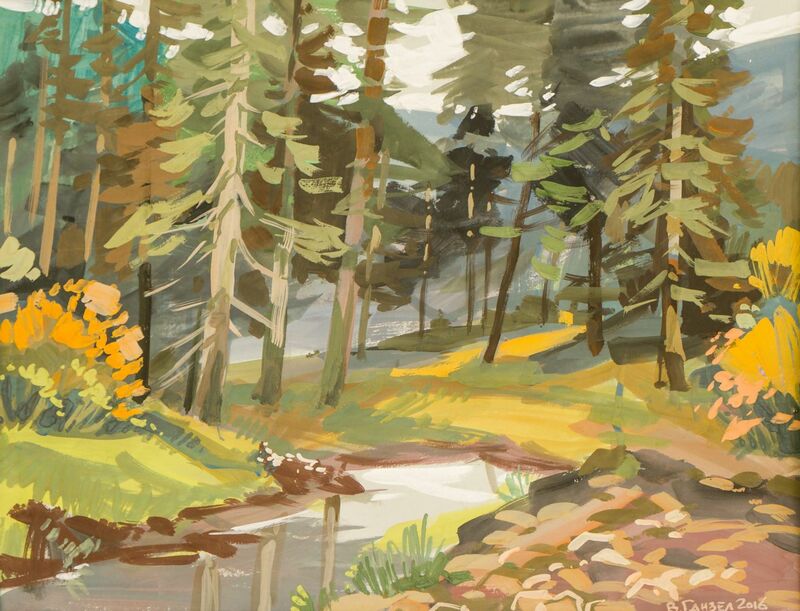 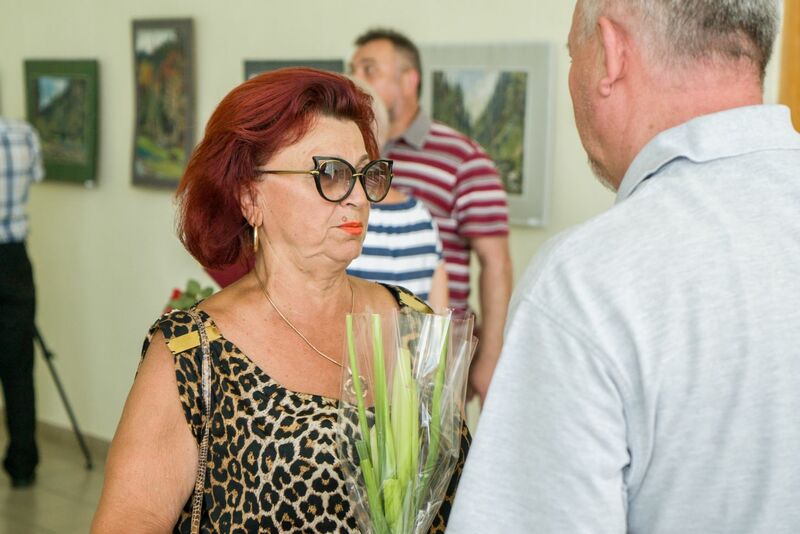 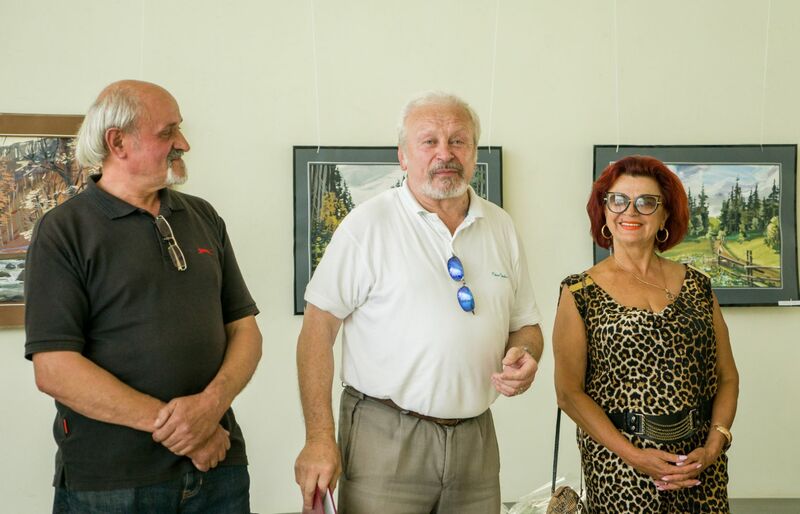 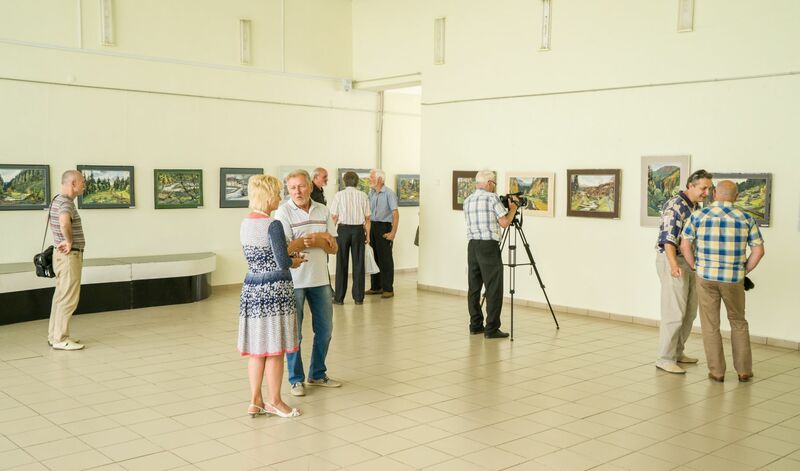 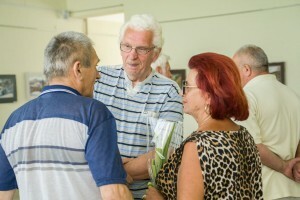 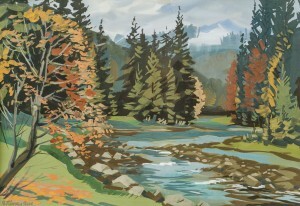 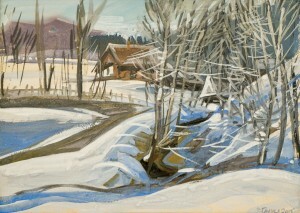 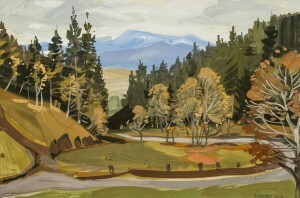 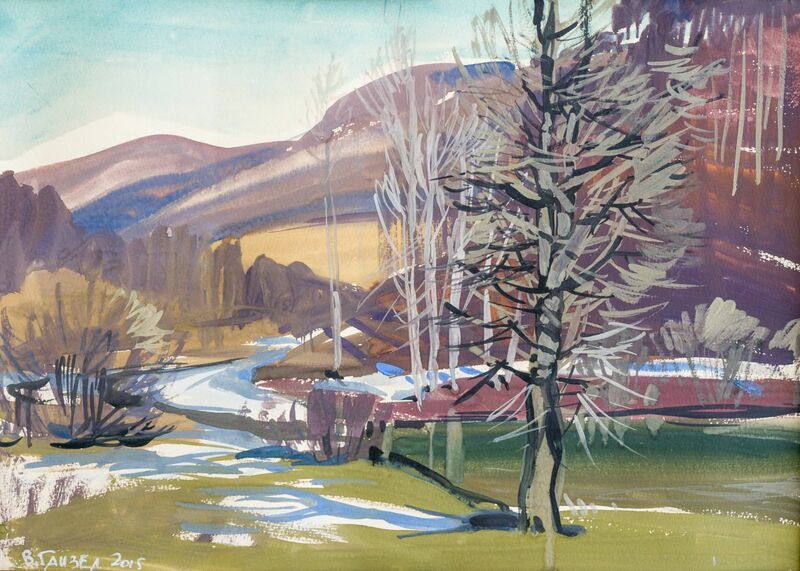 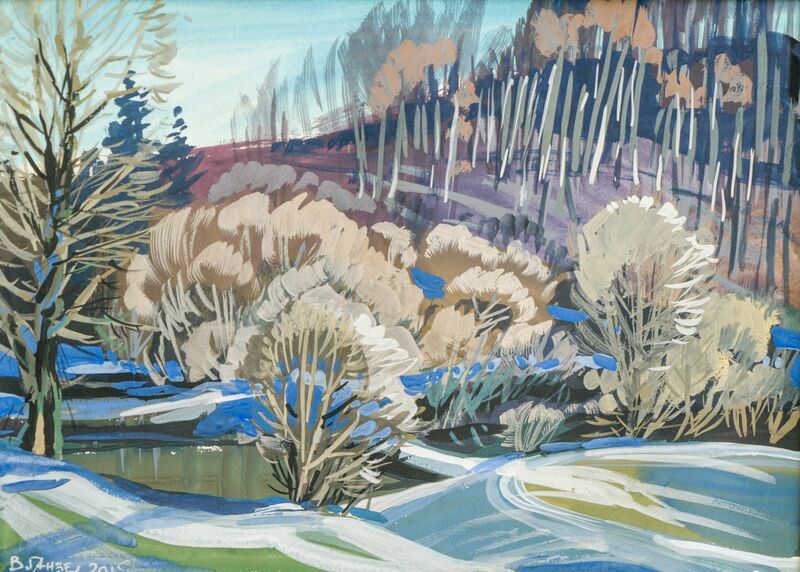 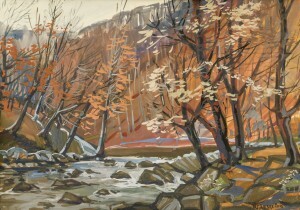 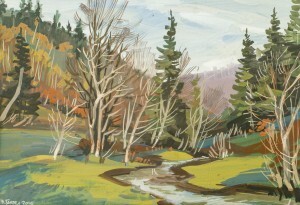 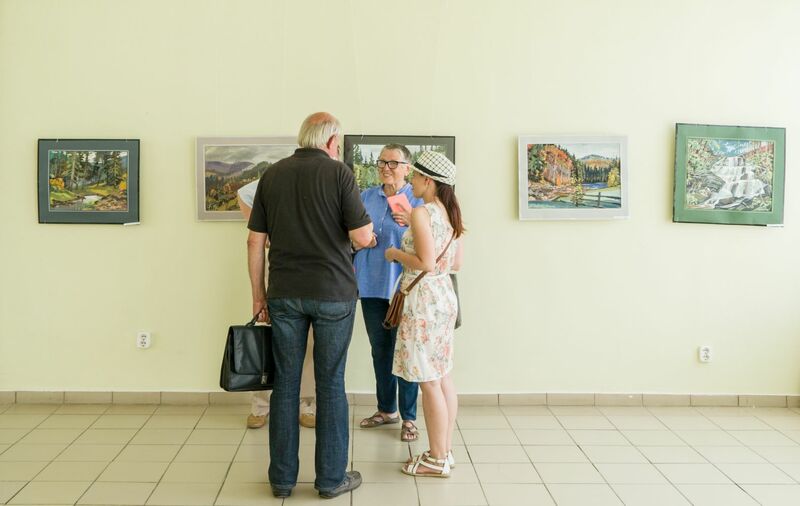 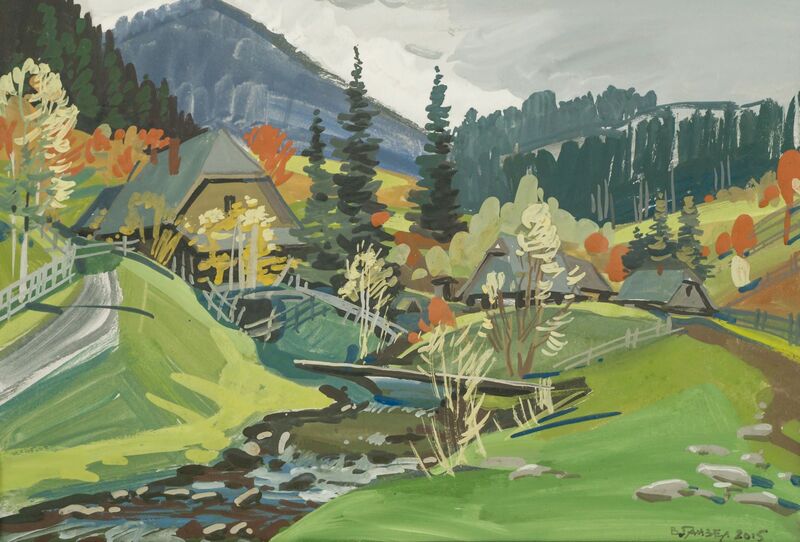 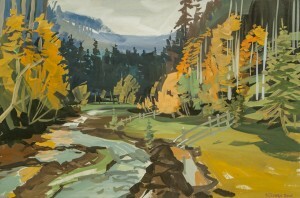 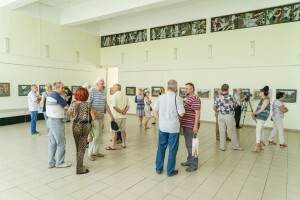 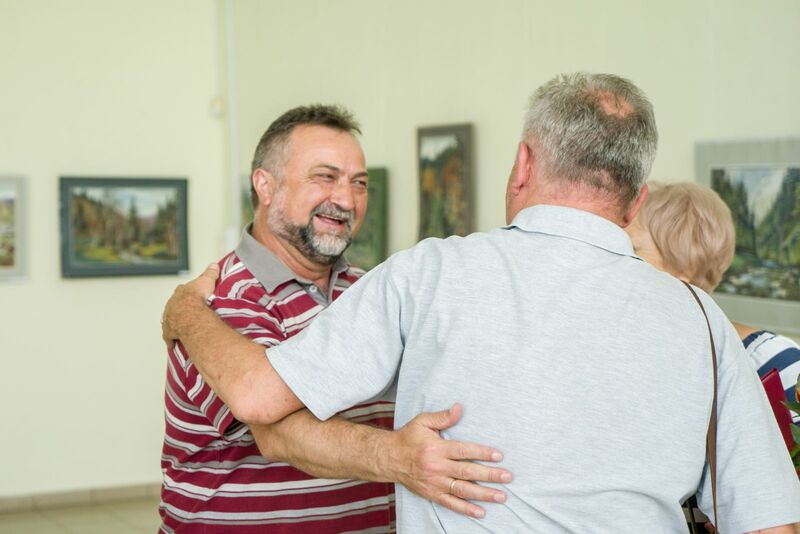 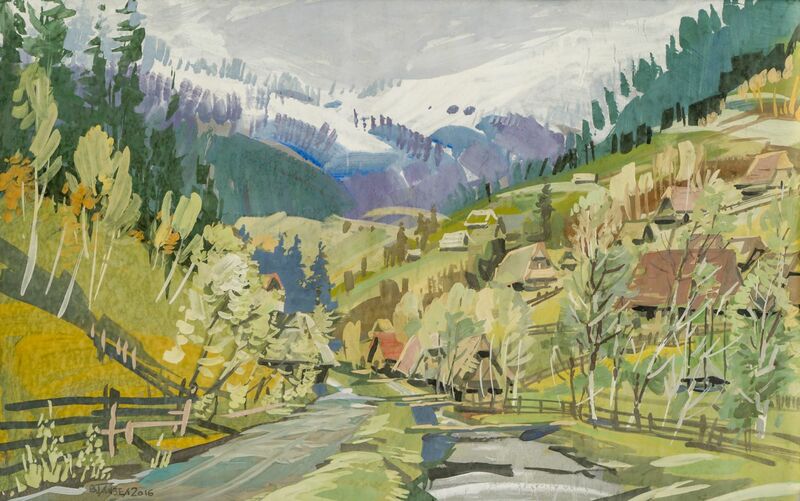 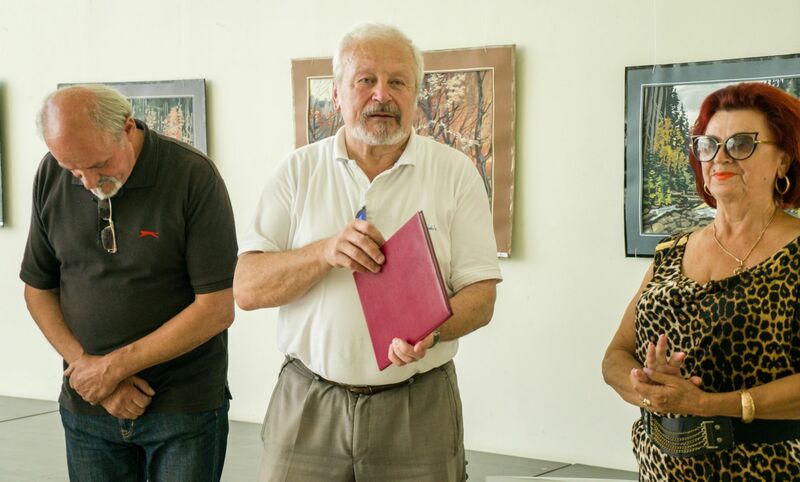 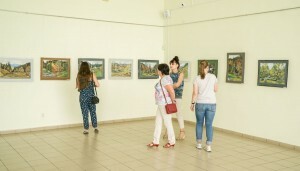 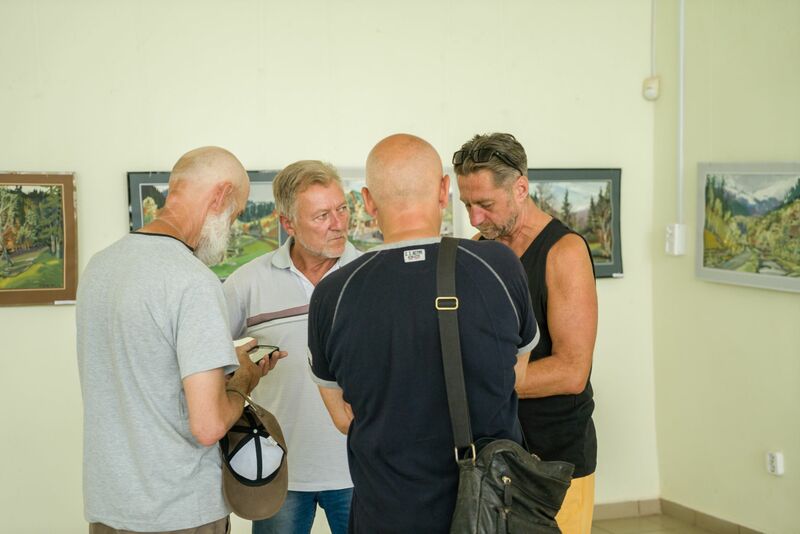 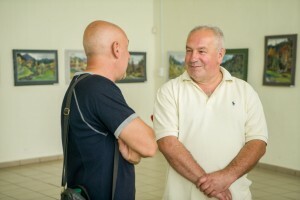 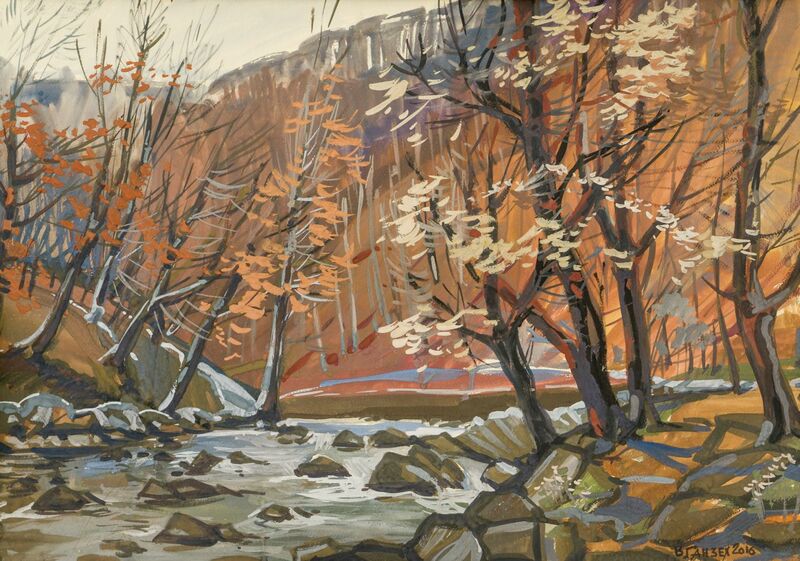 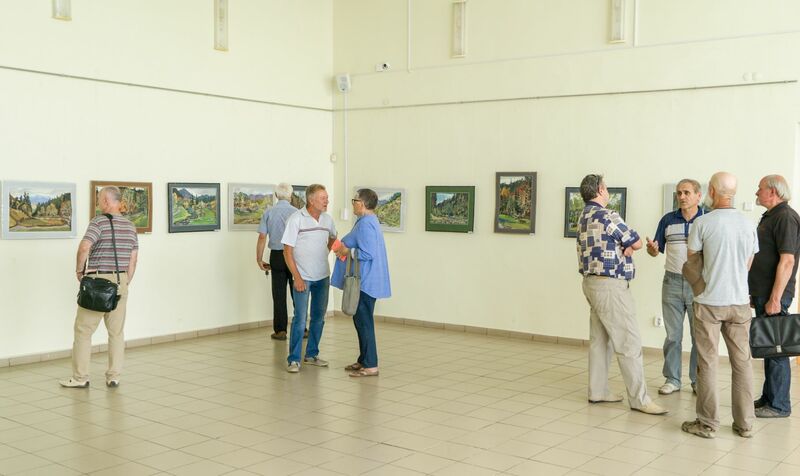 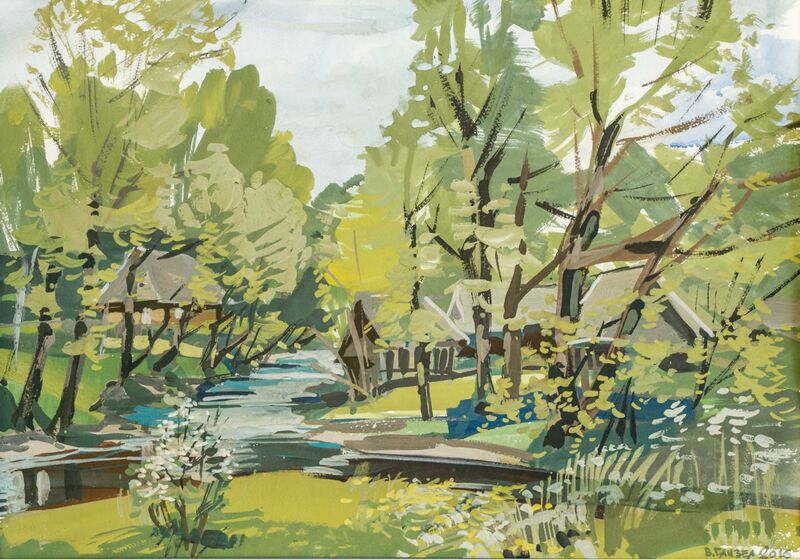 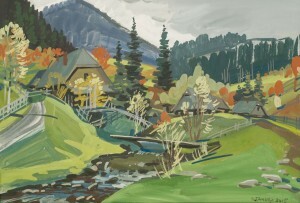 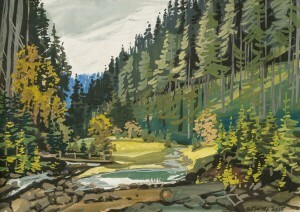 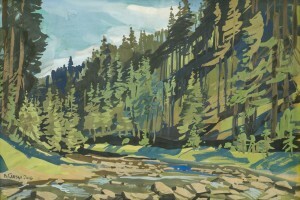 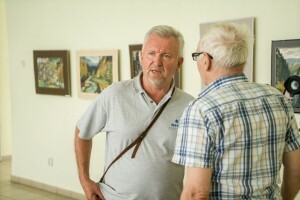 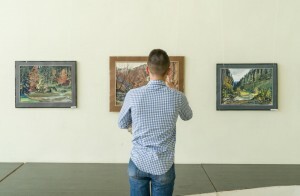 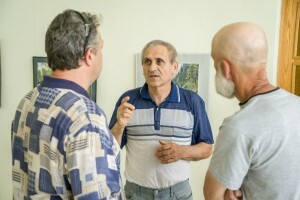 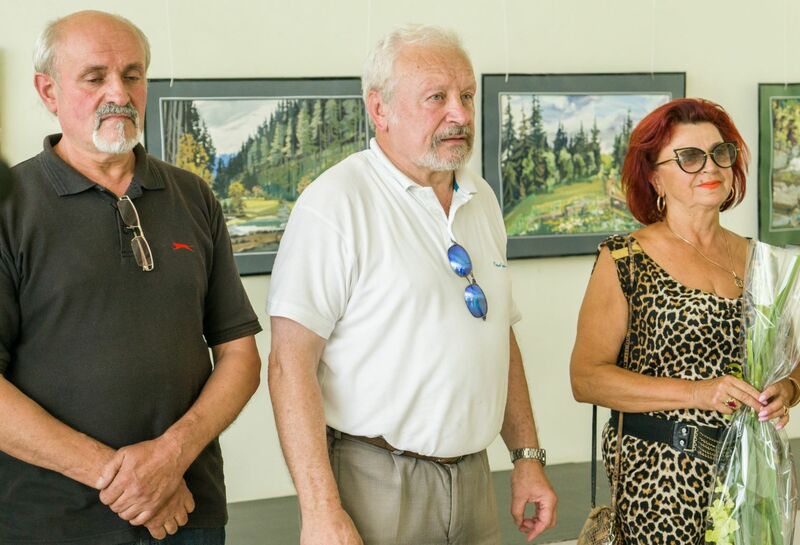 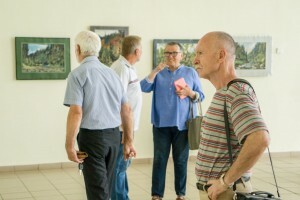 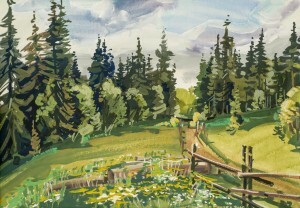 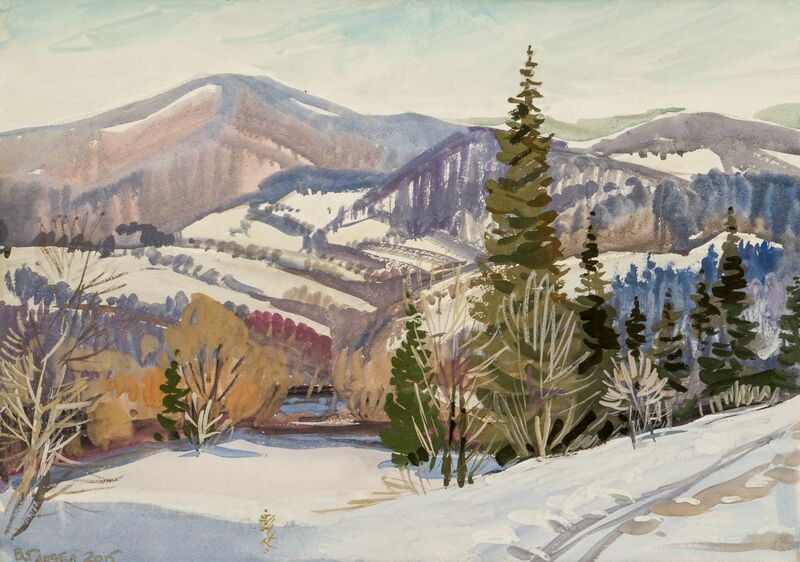 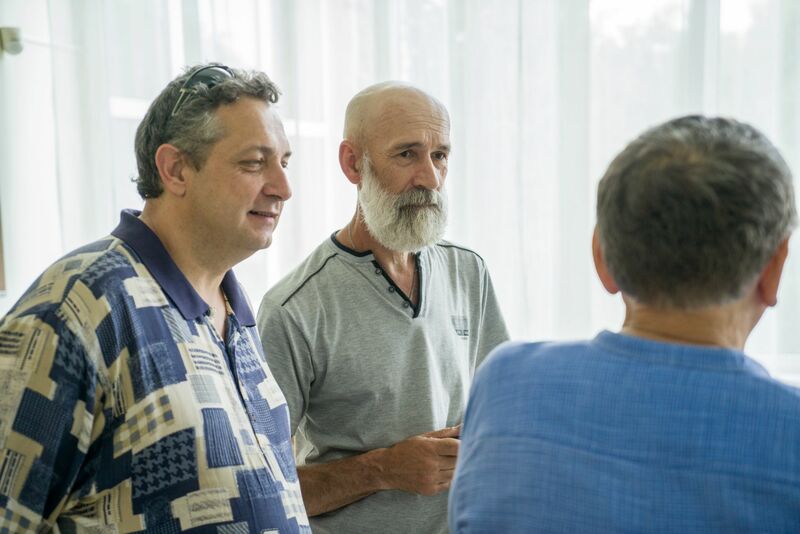 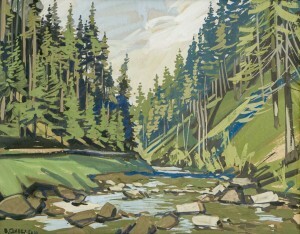 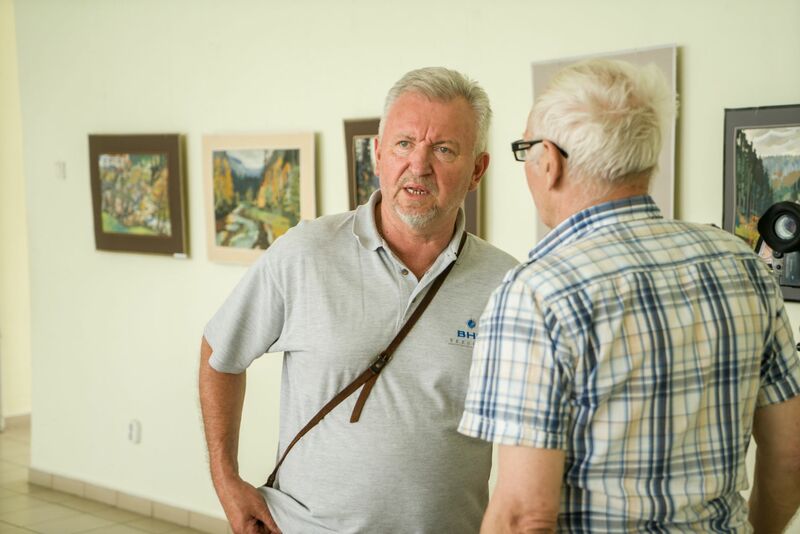 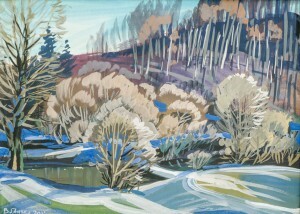 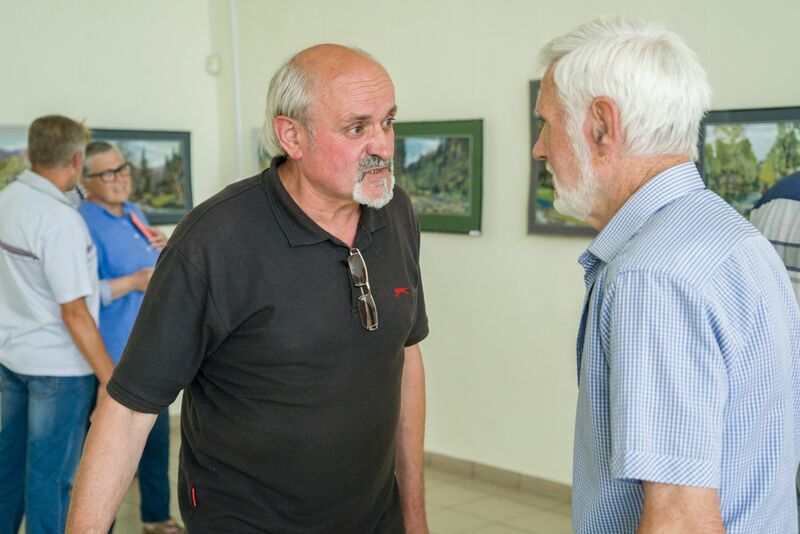 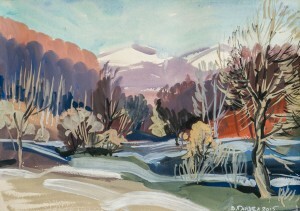 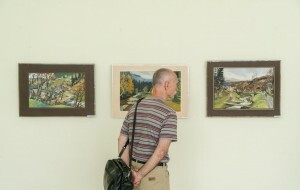 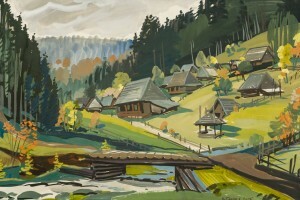 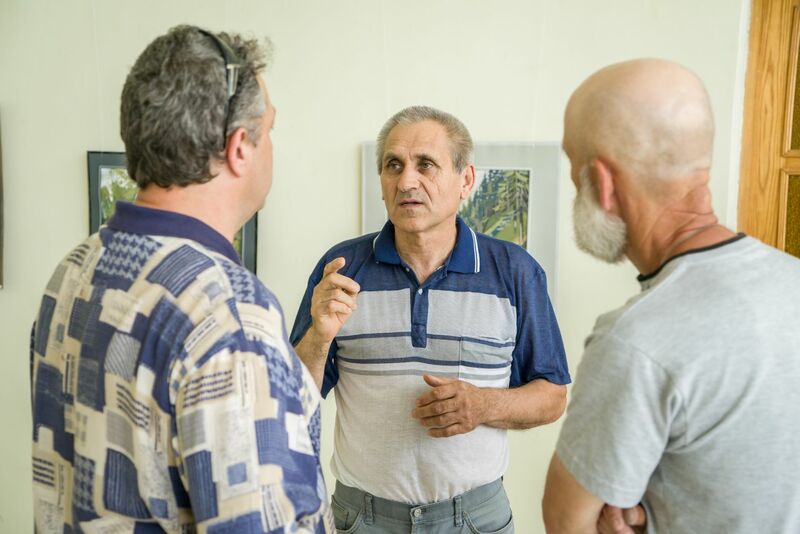 “To look at his works is a holiday, because they are written from the heart and soul, he feels and catches the mood of nature, and this colour and layout will not be repeated!” -the chairman of the Union of Professional Artists of Transcarpathia Vasyl Brenzovych said at the opening of the exhibition. 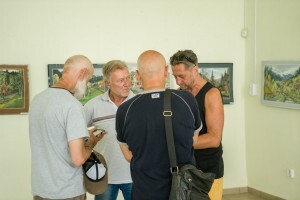 The vast majority of works submitted by the artists painted by him during 2017, part - in 2015 and 2016. 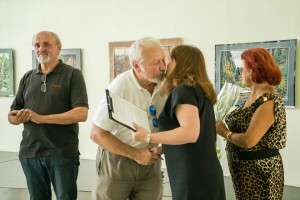 The author works a lot and works fruitfully. He admits that now he has time for this and soon plans to present to a wide audience another collection of his works, but even more expanded and updated.